Stretching across 11,000 rolling acres dotted with pinon and juniper trees, Rancho Viejo is thoughtfully planned to preserve the natural open spaces while providing a sense of community. Its unique village concept incorporates the area’s heritage and emphasis on community. At Rancho Viejo, 50 percent of the community is preserved as natural open space and parks, separating and defining a unique collection of villages. Paved trails for walking, biking and jogging wind through the rolling grasslands and hillsides of these open spaces, connecting individual villages. 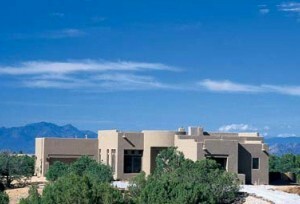 In the traditional northern New Mexican style, each Rancho Viejo village features a central plaza where neighbors can gather.